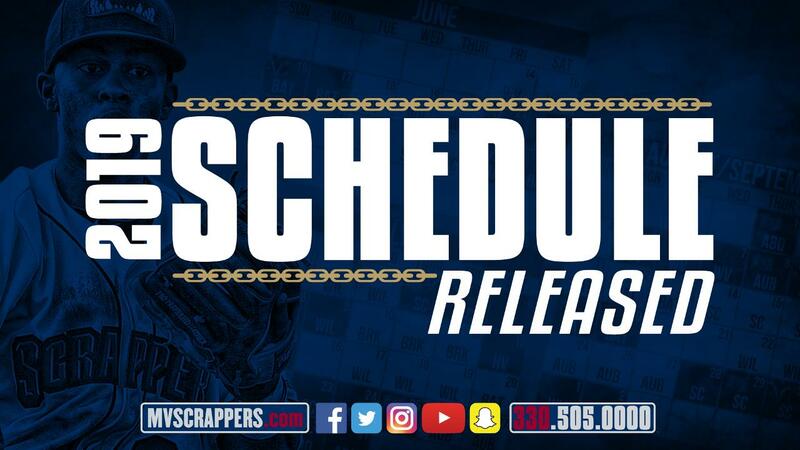 NILES, OH - The Mahoning Valley Scrappers have released their schedule for the 2019 season. The Scrappers will open the 2019 season at home on Sunday, June 16, 2019 against the Batavia Muckdogs. Opening Night festivities will be highlighted by a post-game fireworks show. Additional highlights of the 2019 schedule include a home game on Thursday, July 4 featuring Buck Night and post-game fireworks. The Scrappers will have five Thursday Buck Nights with $1 general admission tickets, hot dogs and 12 oz. drinks and a total of seven fireworks nights at Eastwood Field during the 2019 season. Ticket packages for the 2019 season are on sale now. For more information, contact the Scrappers Front Office at (330) 505-000 or visit mvscrappers.com for a complete schedule.